The Cavendish 2 seat futon sofabed is made in the UK and is a classical style sofabed and crafted from oak.with a light oak coloured finish making it suitable for most interior decor themes. The 'Standard Futon Mattress' is both extremely durable and comfortable being constructed from a combination of pure lambswool, plus bonded felt and rebound polyester in a six layer mix. Simple home assembly is required possibly taking up to 45 to 60 minutes. Seat height 80cm - 32in. Seat width 204cm - 80.5in. Seat depth 96cm - 38in. Bed length 204cm - 80.5in. Bed width 137cm - 54in. 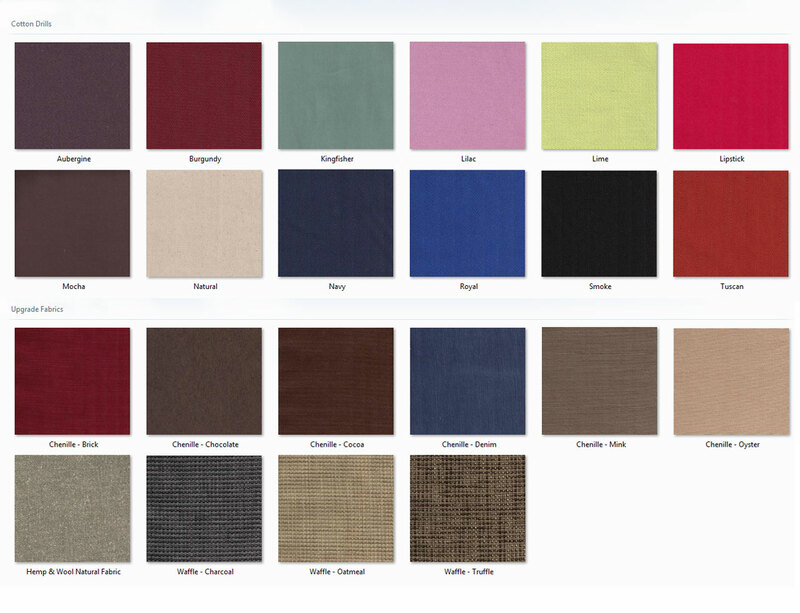 The Cavendish is available in a selection of plain cotton drill fabrics, or as an upgrade, chenille. 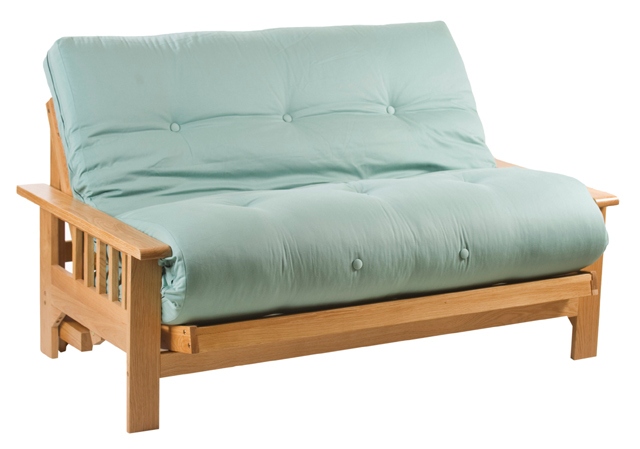 There is also an upgrade option for the futon - 'Standard Cotton Rich Futon Mattress'.